New Year Release 2009 !! Designed and maintained by Dinesh D C, Project Assistant, N S group, MBU, IISc. 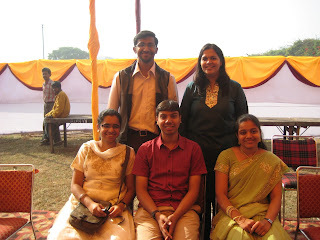 New Year Celebrations @ NS Lab 2009 !! 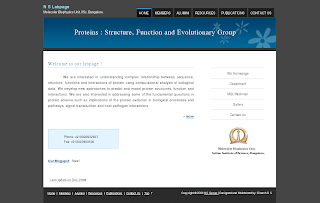 NS lab members wish you all a happy and prosperous new year 2009..
Shanti Swarup Bhatnagar (SSB) Prizes are awarded annually by the Council of Scientific & Industrial Research (CSIR) for notable and outstanding research, applied or fundamental, in Biological, Chemical, Earth, Atmosphere, Ocean and Planetary, Engineering, Mathematical, Medical and Physical Sciences. 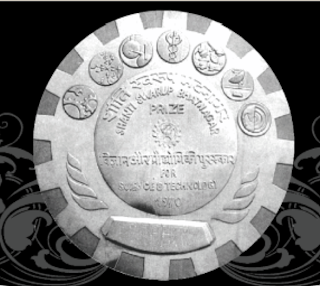 The purpose of the prize is to recognize outstanding Indian work in science and technology. 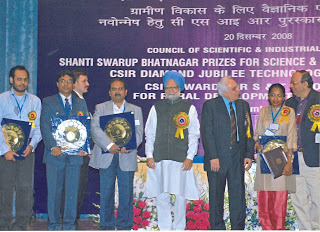 The award is named after the founder Director of the Council of Scientific & Industrial Research (CSIR), Shanti Swarup Bhatnagar and is known as the Shanti Swarup Bhatnagar Prize for Science and Technology. Any citizen of India engaged in research in any field of science and technology up to the age of 45 years is eligible for the Prize. The Prize is awarded on the basis of contributions made through work done primarily in India during the five years preceding the year of the Prize. The SSB Prize comprising a citation, a plaque and a cash award of Rupees five lakh (Rs. 500,000). In addition recipent also got Rs 15,000 per month up to age of 65 years. IISc Centenary Celebration Photos and Videos!! 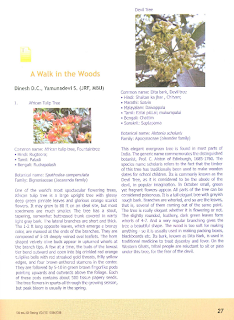 Article published from N S group, by Dinesh D C and Yamunadevi S, Research Assistants. 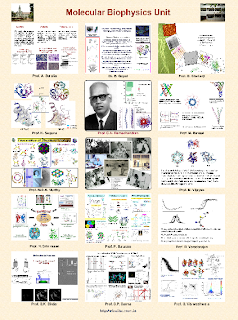 Voices, the IISc Newsletter, is exclusively covering the Centenary events in daily bulletins from Dec 13-16, 2008. The bulletins would cover sessions happening, alumni stories, interviews, and interesting trivia. Two stamps in honour of IISc 14th Dec, 2008!! 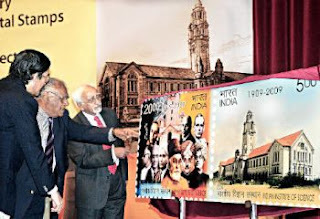 luminaries: Vice-President Hamid Ansari at a function to release IISc centenary commemorative stamps at J.N. Tata Auditorium in Bangalore on Sunday. 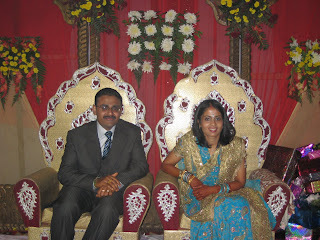 Director of IISc P. Balaram (left) and scientist C.N.R. Rao are seen. BANGALORE: That the Indian Institute of Science (IISc) has left its stamp of excellence is science need not be emphasised. So it was appropriate that the Department of Posts marked the institute’s centenary year on Sunday by bringing out two commemorative postal stamps here on Sunday. The stamps were released by Vice-President Mohammed Hamid Ansari, who also delivered the golden jubilee lecture. While one stamp captured the frontage of the iconic IISc building, the other comprised a collage of various scientists and academics from the pages of its history. 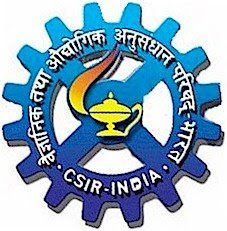 From founder Jamsetji N. Tata to its former Director C.V. Raman, the stamp carries the visage of several IISc luminaries. Mr. Ansari spoke about the importance of basic sciences and the various hurdles that the scientific community must overcome to strengthen the knowledge-based society. “To attain this goal that we have set, we need an enhanced level of access to knowledge, and the IISc must remain a torchbearer in this regard,” he said. Charting the scientific goals of the country since the first decade of Independence, Mr. Ansari said that though notable landmarks had been reached, several gaps remained. Calling for “inspiring teaching and better role models”, he said that the Knowledge Commission’s findings called for creation of a culture of experiment-based learning, which required re-training of teachers. The University Grants Commission’s sample survey of 47 universities showed an overall vacancy level of 51 per cent, Mr. Ansari pointed out. “The situation is particularly depressing in State universities, where almost 90 per cent of students are enrolled. This adds to the problem of quality in higher education,” he said. He also spoke about the Knowledge Commission’s reference to the disconnect between the educational institutions and centres of research and development. “The disconnect is at two levels, between undergraduates and senior faculty, and teachers and researchers. This results in the young student being deprived of that which may fire his/her imagination,” he said. 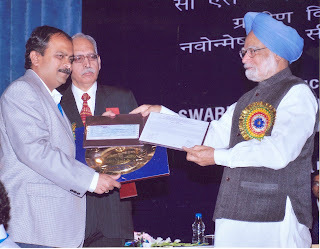 Governor Rameshwar Thakur, scientist C.N.R. Rao, Director of National Institute of Advance Studies K. Kasturirangan, IISc Director P. Balaram, Home Minister V.S. Acharya and Chief Post Master General of Karnataka M.P. 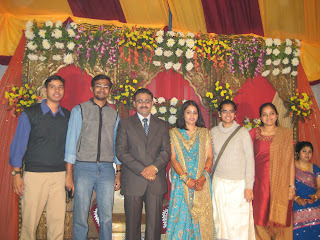 Rajan were present. 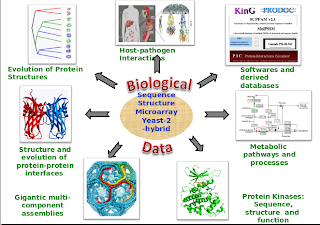 Birth of IISc.pdf, Current Science, Jan 2008, by Prof. Balaram. 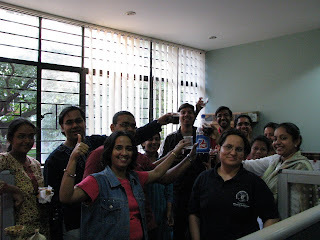 The Indian Institute of Science, Bangalore, which is India's foremost research institution, enters its centenary year on 27th May 2008. In making the hundredth year of its existence, the Council of the Institute had recently decided to confer the Honorary Fellowship of the Institute on Dr. A.P.J. Abdul Kalam, former President of India, Mr. Ratan N Tata, Chairman of Tata Sons, Dr. M.S. Swaminathan, the architect of the Green Revolution in the country and Prof. R Narasimha, noted aerospace scientist. 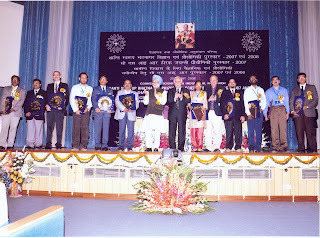 The Honorary Fellowship of the Institute is confered on eminent scholars in recognition of their distinguished contributions to knowledge in the subjects in which the Institute is interested or on persons who have rendered eminent service to the Institute or on persons who have made a noteworthy and lasting contribution to the cause of science and industry in India. In the 100 years of existence of the Institute, only 25 persons have been so honoured. Among those confered the Honorary Fellowship of IISc are Jawaharlal Nehru, M. Visvesvaraya, C.V. Raman, J.R.D. Tata, A.L. Mudaliar, Vikram Sarabhai, S. Dhawan, Indira Gandhi, G.N. Ramachandran, Raja Ramanna, M.G.K. 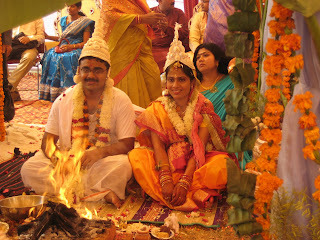 Menon, A. Ramachandran and C.N.R. Rao. 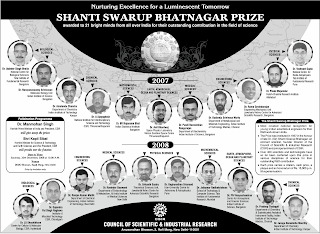 The Bhatnagar Awards are given to scientists below 45 years of age, for their outstanding scientific contributions made primarily in India during the last 5 years preceding the year of the Prize. The Prize comprise a citation, a plaque and a cash award of Rs 5,00,000, which would be given away by the Prime Minister.